Mother's Day is one of the most important day all over the year. 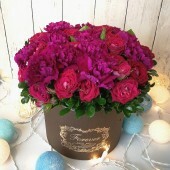 Send flowers to your mother to express how much you love her. 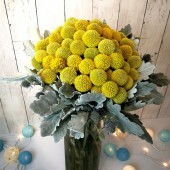 Our flower shop have variety of fresh flowers like Roses, Lilies, Carnations, Gerberas, Tulips, and hydrangea, among which Carnations mean love for mother. 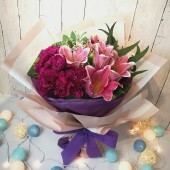 Each bouquet will match with certain seasonal flowers with the nice package as well, vase arrangement is also a good idea. 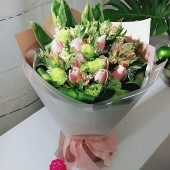 All the flowers are freshly arrived from the overseas supplier everyday, so we can guarantee the flowers are fresh and in a high quality. Just place the order online or contact us directly, we can arrange the same day delivery. 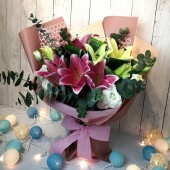 A Bouquet with beautiful Carnation and Lily arranged together. ..
A Fantastics Bouquet with One Hydrangea and six Carnations beautifully wrapped ..
One Dozen Deep Red Color of Roses arrangement in a Clear Glass Vase ..
Honey, You are always number ONE, send a bunch of carnations bouquet to her on her special day, reme..
Mummy, You are number ONE, send a bunch of carnations bouquet to her on her special day, remember to..
A Bunch with 12 Carnations beautifully wrapped ..
Golden Time can be in vase or wrapped ..
She is your one and only. Doesnt she deserve an equally singular bouquet? 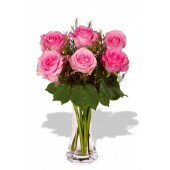 This charming, heartfelt a..
One Dozen Special Pink Roses Bouquet, Beautiful !! Sleep Queen ! .. Elegant Mini Roses Bouquet, the colour may subject to seaon. ..
One Dozen Fresh Roses Bouquet, Fresh Everyday ! 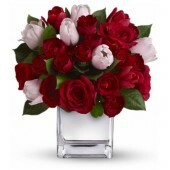 ..
For mum who is passionate about Tulips, this majestic arrangement of the prettiest tulips is, w..